Download the curatorial essay here. 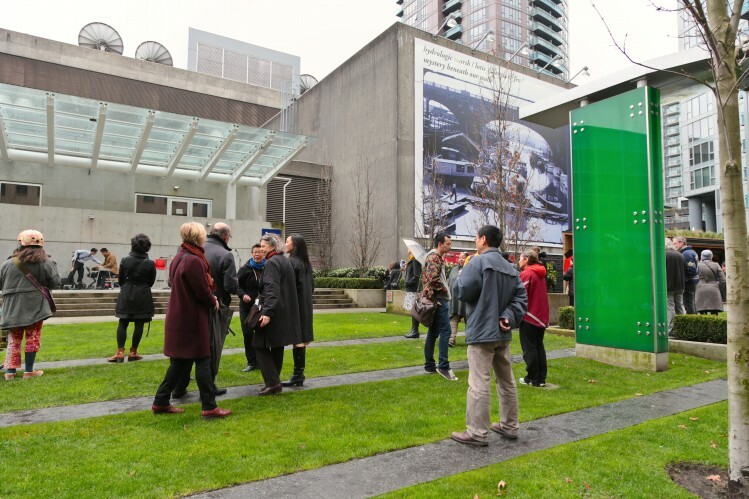 Fountain: the source or origin of anything is a public art installation and parallel interactive web project by Laiwan, produced in collaboration with the Vancouver Heritage Foundation, JJ Bean, and CBC Radio-Canada. The reception will feature performances by Andrew Lee’s musical project Holy Hum, an assortment of sweets, and a special offering from JJ Bean for the first 50 guests. A complimentary printed brochure with a curatorial essay by Joni Low will also be available. Selected by the artist from the CBC’s analogue media archive, the installed image is a frame from the 16mm film Summer Afternoon (1956), which follows the adventures of two children near Keefer and Columbia Streets along the northern shores of False Creek – areas that have since been filled in as land. The openness of this moment – of easy access to water, sightlines to a distant shore, and reflection of boats floating beneath the Old Georgia Viaduct – mirrors a space of extended imagination, a fluidity of consciousness. Laiwan’s poetic lines, inspired by and sourced from the B.C. Government’s ‘Glossary of Water Quality Terms’, carries the image to yet another place, traversing her chance discovery of rare and curious words and the sensations they inspire.The image’s grainy aesthetic, its inclusion of the film’s sprocket on the left edge and jagged wave of audio signal on the right, acknowledge older analogue technologies. Though revived from the archive, Fountain does not exist within nostalgia of any specific place, but conjures a respect to a history of relationships, of past architecture and past horizons, inviting us to revel in our present experience within a city heightened by an added awareness and depth of context. Laiwan’s parallel web project extends the exploration of fluidity throughout the city, bringing together the oral and natural histories of nearby communities. 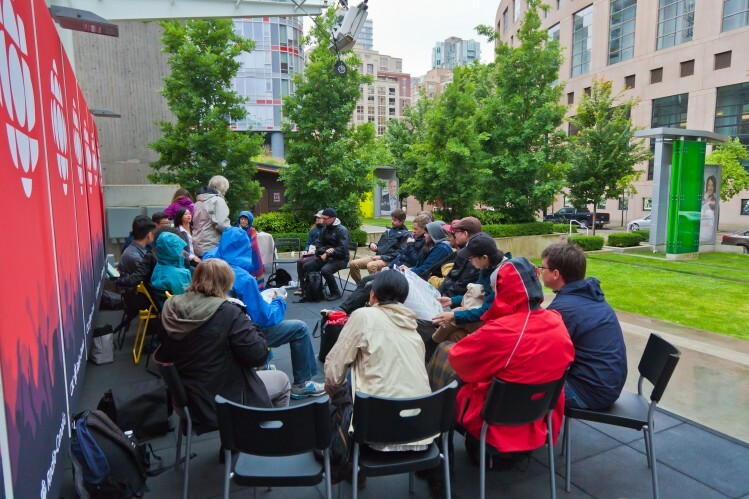 This virtual public space, a communal archive, is open for all to contribute, to create a shared flow of ideas over time. LAIWAN is an artist, writer and educator recognized for her interdisciplinary practice based in poetics and philosophy. Born in Zimbabwe of Chinese parents, she immigrated to Canada in 1977 to leave the war in Rhodesia. Her practice investigates embodiment through performativity, audio, music, improvisation, and varieties of media, along with bodily and emotional intelligence, so as to unravel and engage presence. She teaches in the MFA Interdisciplinary Arts Program at Goddard College (Washington State, USA) and is current Chair of the Board of Directors at grunt gallery (Vancouver). 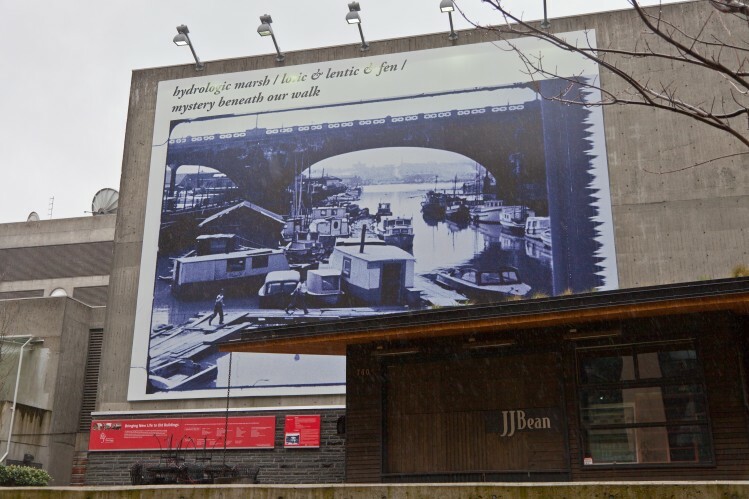 The Wall is a public art initiative made possible through a partnership between Vancouver Heritage Foundation, JJ Bean Coffee Roasters and CBC Radio-Canada. The 2014 project has received additional support from this year’s participating arts organization, Centre A. Every year a new artist is selected by The Wall Advisory Committee. 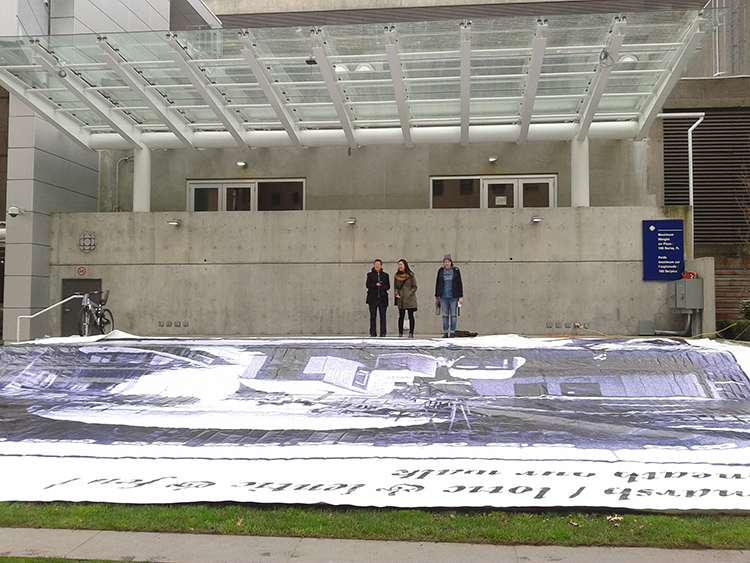 Images courtesy of Vancouver Heritage Foundation and John Fukushima. 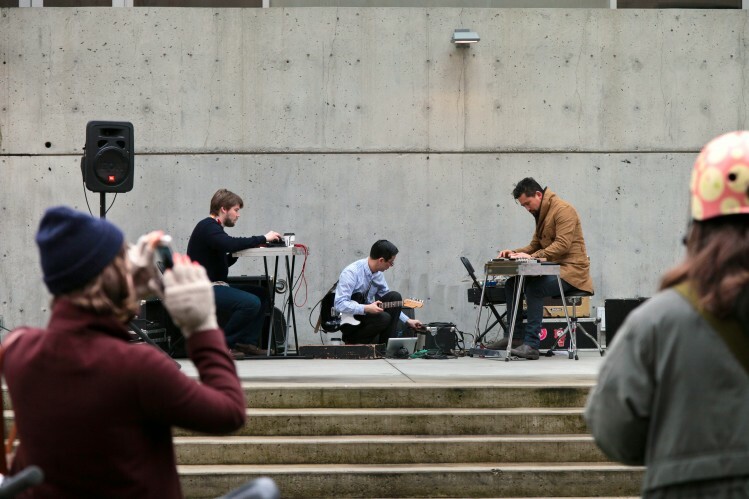 As part of the webwork for Fountain, Laiwan created videos of individuals whose activities explore the historical layers of Vancouver’s built environment. 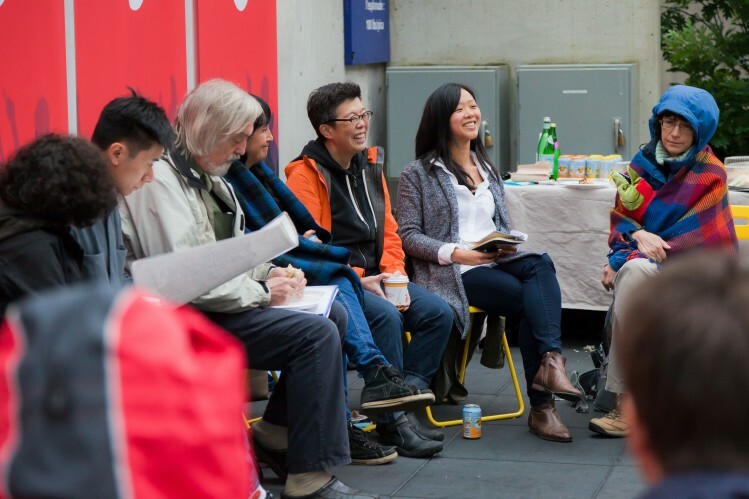 Come hear Laiwan in conversation with these special guests as they expand on ideas expressed in virtual space and respond to the overall webwork and the large-scale companion piece at The Wall, CBC Plaza. Moderated by Joni Low. Bruce Macdonald is a historical consultant specializing in Vancouver’s past. 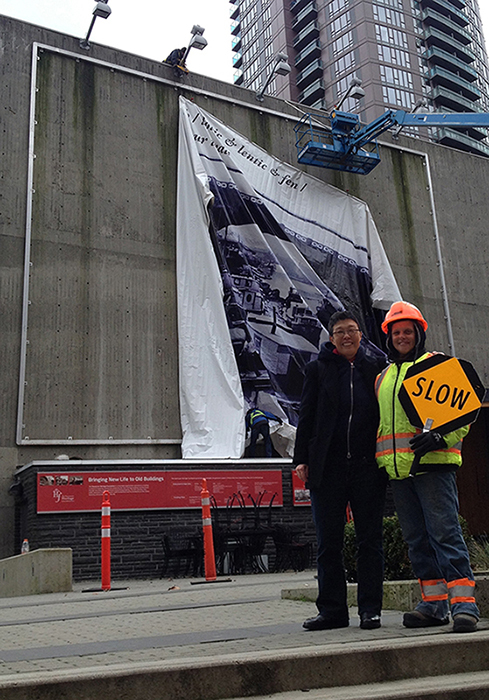 His work for the City of Vancouver has included speaking, cartography, historical plaque writing and design, and heritage house assessment. He is the author of the award-winning book “Vancouver: A Visual History” (1992), which has led to work with many local artists and writers on projects involving awareness of the city, and with various media interested in Vancouver, such as local TV and radio, the Vancouver Sun, Maclean’s and National Geographic magazines. Cease Wyss (Skwxw’u7mesh Nation) – As an ethnobotanist, media artist, educator, and activist, Cease has worked in the areas of community, health and healing practices for over two decades. 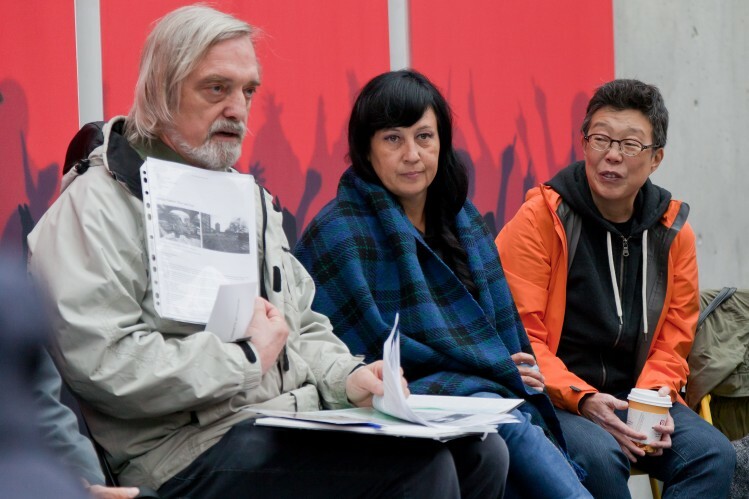 Having previously worked with Kamala Todd, Urban Aboriginal Social Planner at the City of Vancouver, she currently works with the Urban Native Youth Association (UNYA) as an Aboriginal Youth Worker. 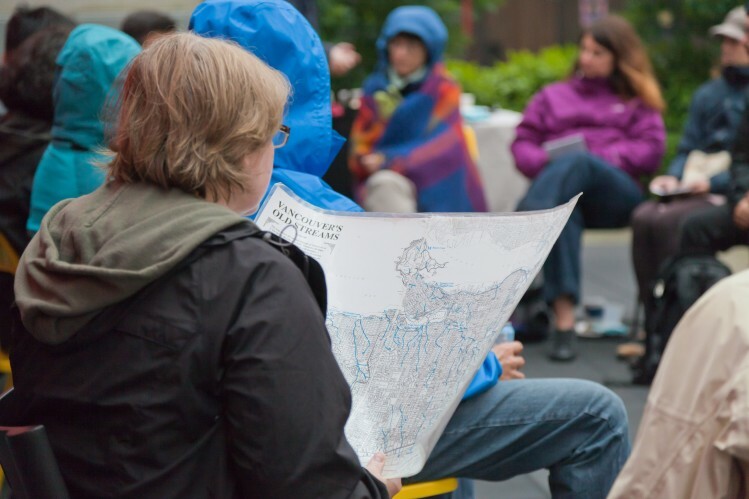 As an Indigenous Plant Diva, Cease has led numerous walks and workshops with a wide range of groups on identifying medicinal and other edible plants in our urbanized environments. She has stood ground with various Indigenous Peoples to fight for native peoples’ rights to hunt, gather, and fish in their traditional territories. 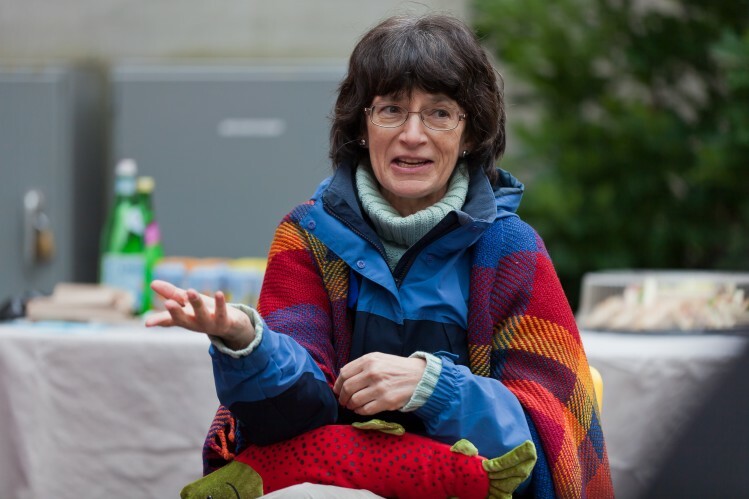 Celia Brauer is founder of the False Creek Watershed Society, a non-profit group established in 2005 to generate wider public awareness about Vancouver’s natural history, the preservation and rehabilitation of our local water systems, and First Nations culture. From a very young age, she was inspired by the magic of the natural world. With a BFA from Concordia University and training as a Master Gardener, Celia continues to work in Vancouver as an artist, writer ecologist and conservationist. © 2014 Centre A. All Rights Reserved.